"Marge Be Not Proud" is the eleventh episode of The Simpsons' seventh season. It originally aired on the Fox network in the United States on December 17, 1995. In the episode, Marge refuses to buy Bart the new video game Bonestorm, so he steals it from a local discount store. Bart ends up being estranged from his mother when he gets caught, and fearing that he has lost her love, he decides he must regain it. Homer notices a plug in the middle of the floor and pulls it. Everyone and everything gets sucked down the drain. The episode was written by Mike Scully and directed by Steven Dean Moore. Scully got the inspiration for it from an experience in his childhood when he shoplifted. Lawrence Tierney guest-starred in the episode as Don Brodka. Since airing, the episode has received mostly positive reviews from television critics. It acquired a Nielsen rating of 9.5, and was the fourth highest-rated show on the Fox network the week it aired. Christmas is approaching, and Bart wants the new video game Bonestorm, but Marge refuses to buy it as it is too expensive and violent. After failed attempts to rent it and play it with Milhouse, Bart visits the local Try-N-Save discount store where Jimbo Jones and Nelson Muntz convince him to steal a copy of the game. On his way out, Bart is caught by security guard Don Brodka, who tells him to leave and never return. Unaware of Bart's shoplifting, Marge takes the family to the same store to get their annual Christmas picture taken. Bart tries to avoid detection, but is spotted by Brodka, who shows a disbelieving Marge and Homer the security tape of Bart shoplifting. Disappointed by and concerned she may be mothering Bart too much, Marge decides he is old enough to make his own decisions and becomes distant with him. Fearing he has lost Marge's love, Bart, wanting to regain it, returns to the Try-N-Save and comes home with a bulge in his coat. Marge confronts him, believing he shoplifted again, but Bart has a picture of himself that was to be a Christmas present for her. Marge is overjoyed, and in gratitude for receiving this early gift she gives Bart his present, the golf simulator video game Lee Carvallo's Putting Challenge. Though profoundly underwhelmed, Bart thanks her. Mike Scully, the writer of "Marge Be Not Proud", based the episode on an experience in his own life. 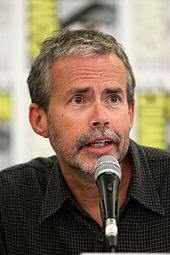 Mike Scully, the writer of the episode, based it on an experience in his childhood. Scully was twelve years old when he paid a visit to the Bradlees discount department store in West Springfield, Massachusetts. A "bunch of guys" were shoplifting at the store and they "pressured" Scully into shoplifting as well. He ended up getting caught outside, and "had one of the most traumatic moments" of his life. "To this day it still terrifies me", Scully said. He jokingly told Variety, "It's great to be paid for reliving the horrors of your life." The episode was directed by Steven Dean Moore. The show runner of The Simpsons at the time, Bill Oakley, thinks this is one of the most "beautifully" directed episodes of the show. He called the "hand-colouring" very "vivid" and "bright". The episode is the first Christmas episode the producers had done since the first episode of the series, "Simpsons Roasting on an Open Fire". Oakley said that nobody in the writing staff wanted to "try on Christmas" because it was "so famous" as being the first episode. Lawrence Tierney guest-starred in the episode as Don Brodka. Another former show runner, Josh Weinstein, called Tierney's appearance "the craziest guest star experience we ever had". In addition to yelling at and intimidating employees of the show, Tierney made unreasonable requests, such as abandoning his distinctive voice to do the part in a southern accent and refusing to perform lines if he did not "get the jokes". Despite this, Oakley and Weinstein thought Tierney did a good job. Weinstein said, "He certainly delivered and he's one of my favorite characters we have had [on the show]." After Tierney's death, the episode "The Old Man and the Key" was dedicated to him. "Marge Be Not Proud" originally aired on the Fox network in the United States on December 17, 1995. The episode was selected for release in a 1999 video collection of selected episodes, titled: Bart Wars. Other episodes included in the collection set were "Mayored to the Mob", "Dog of Death", and "The Secret War of Lisa Simpson". The episode was again included in the 2005 DVD release of the Bart Wars set. The episode was included in The Simpsons season seven DVD set, which was released on December 13, 2005. Oakley, Weinstein, Scully, Moore, and Silverman participated in the DVD's audio commentary. In its original broadcast, "Marge Be Not Proud" finished 47th in the ratings for the week of December 11 to 17, 1995, with a Nielsen rating of 9.5. The episode was the fourth highest-rated show on the Fox network that week, following a boxing match, Fox NFL Sunday, and The X-Files. Since airing, the episode has received mostly positive reviews from television critics. The authors of the book I Can't Believe It's a Bigger and Better Updated Unofficial Simpsons Guide, Warren Martyn and Adrian Wood, wrote: "A Christmas special in all but name, and a touching look at the relationship between Marge and her growing Bart." Dave Foster of DVD Times said that "thanks to the keen eye of the writers and the rarely shown good side of Bart, this episode works very well as both an amusing insight to the way a child’s mind works and as a strong relationship building episode between Bart and Marge." DVD Movie Guide's Colin Jacobson said that despite being one of the "sappier" episodes at times, it "still packs some terrific laughs". Jacobson commented that he "absolutely lost it when Homer’s drawing of a robot grilling a hot dog was seen - it’s funnier if you see it - and Lawrence Tierney’s guest turn as the store detective adds hilarious grit to the show." He added that the episode does not "fall into the classic" category, "but it offers more than enough entertainment to satisfy". Jennifer Malkowski of DVD Verdict considered the best part of the episode to be when a depressed Bart makes a snowman from the dirty, leftover snow under the car. She called the scene "amazingly pathetic". Malkowski concluded her review by giving the episode a grade of B. In 2011, Richard Lawson of The Atlantic Wire cited it as the best Christmas episode of The Simpsons, noting that "it's very sweet and there are some funny videogame jokes". He added that the episode "features a terrific guest starring voice performance from the late Lawrence Tierney". Charlie Sweatpants, author of the online book Zombie Simpsons: How the Best Show Ever Became the Broadcasting Undead and creator of the blog Dead Homer Society, claims that it is the "one bad episode" in season seven, due to it being an example of a very special episode; however, he claims that it is only bad by the "towering" standards of the earlier seasons. Raphael Bob-Waksberg, commenting on the influence The Simpsons was on Bojack Horseman, cited this episode as a favorite. "My favorite episode is ‘Marge Be Not Proud,’ where Bart steals a video game [creating a rift with his mother]. It’s an insanely well-crafted joke episode but it’s also incredibly sincere and beautiful and heartbreaking." The video game characters Mario, Luigi, Donkey Kong, and Sonic appear in Bart's imagination, as demons of temptation convincing him to go through with the theft. However, in-universe video-game character, Lee Carvallo appears to Bart as the voice of reason, unsuccessfully trying to talk Bart out of the theft. The “Lee Carvallo’s Putting Challenge” video game is a reference to the Nintendo game, Lee Trevino's Fighting Golf. The real-world rural borough of Mechanicsburg, Pennsylvania is also mentioned in the episode. Milhouse's mother says of a childhood friend of hers, "He grew up in Mechanicsburg." ^ a b c d Groening, Matt (1997). Richmond, Ray; Coffman, Antonia (eds.). The Simpsons: A Complete Guide to Our Favorite Family (1st ed.). New York: HarperPerennial. p. 192. ISBN 978-0-06-095252-5. LCCN 98141857. OCLC 37796735. OL 433519M. .
^ a b c d Martyn, Warren; Wood, Adrian (2000). "Marge Be Not Proud". BBC. Retrieved March 6, 2008. ^ Scully, Mike (2005). The Simpsons season 7 DVD commentary for the episode "Marge Be Not Proud" (DVD). 20th Century Fox. ^ Zahed, Ramin (April 23, 1998). "Question Reality". Variety. Retrieved January 4, 2009. ^ a b Oakley, Bill (2005). The Simpsons season 7 DVD commentary for the episode "Marge Be Not Proud" (DVD). 20th Century Fox. ^ Weinstein, Josh (2005). The Simpsons season 7 DVD commentary for the episode "Marge Be Not Proud" (DVD). 20th Century Fox. ^ "Bart Wars (VHS)". Amazon.com. Retrieved October 17, 2008. ^ "Bart Wars (DVD)". Amazon.com. Retrieved October 17, 2008. ^ "The Simpsons - The Complete Seventh Season". The Simpsons. 20th Century Fox. December 13, 2005. ^ "The Simpsons - The Complete 7th Season". TVShowsOnDVD.com. Archived from the original on August 29, 2012. Retrieved November 30, 2008. ^ a b "Nielsen Ratings". The Tampa Tribune. December 21, 1995. p. 4. Retrieved on January 4, 2009. ^ Malkowski, Judge (January 16, 2006). "The Simpsons: The Complete Seventh Season". DVD Verdict. Archived from the original on December 4, 2008. Retrieved December 1, 2008. ^ Lawson, Richard (December 16, 2011). "Classic Christmas TV During the Reruns". The Atlantic Wire. Retrieved December 16, 2011. ^ Sweatpants, Charlie (December 17, 2009). "One Bad Episode". Dead Homer Society. Retrieved May 29, 2016. ^ Sepinwall, Alan (September 12, 2018). "'BoJack Horseman' Creator Raphael Bob-Waksberg on the Show's 10 Biggest Influences". Rolling Stone. Retrieved September 13, 2018. Wikiquote has quotations related to: "Marge Be Not Proud"
"Marge Be Not Proud episode capsule". The Simpsons Archive.